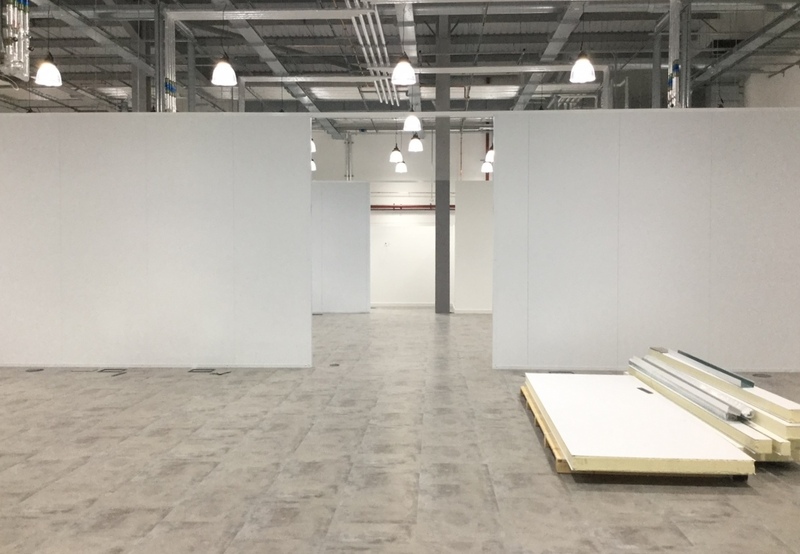 Hygienik Systems specialise in bespoke, large-scale installations of hygienic wall cladding, wall protection and partitions. 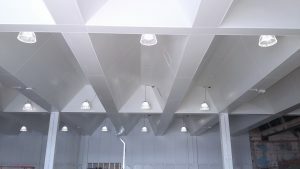 Their expertise covers every aspect of specifying, planning and installing premium grade PVC cladding to create hygienic and food safe environments that comply with all hygiene regulations. 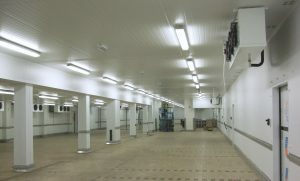 Our airport experience includes major installations for Gate Gourmet at Heathrow and Manchester. 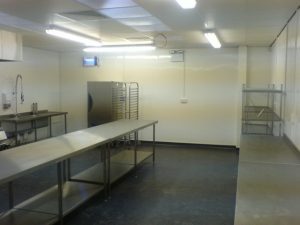 We have also completed bespoke installations for production, storage, kitchen and areas in the food and drinks industry, aerospace manufacturing facilities, NHS hospitals, laboratories and food counters in leading supermarkets and shopping centres. Hygienik expertly installs cladding directly over blockwork or existing tiles and they can fix to any substrate – including direct to Gyproc studding, around supporting columns/beams and within roof voids. 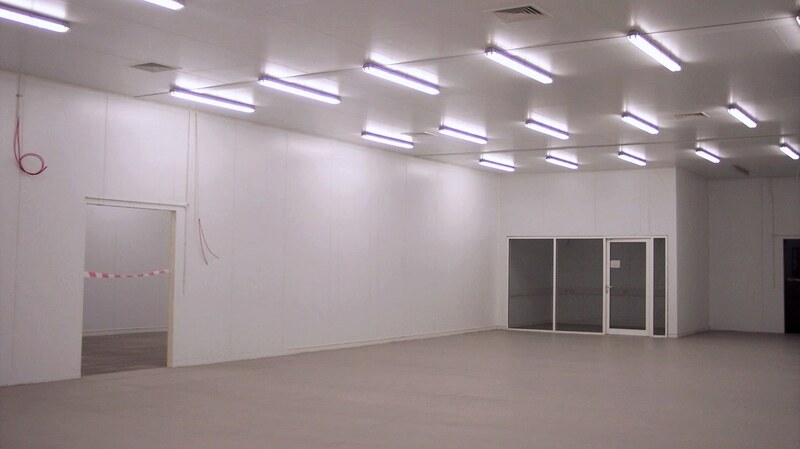 PVC cladding is a cost-effective, long term, low maintenance solution that is food safe and colour-fast. It can be used in showers, wet rooms, changing rooms and WCs. 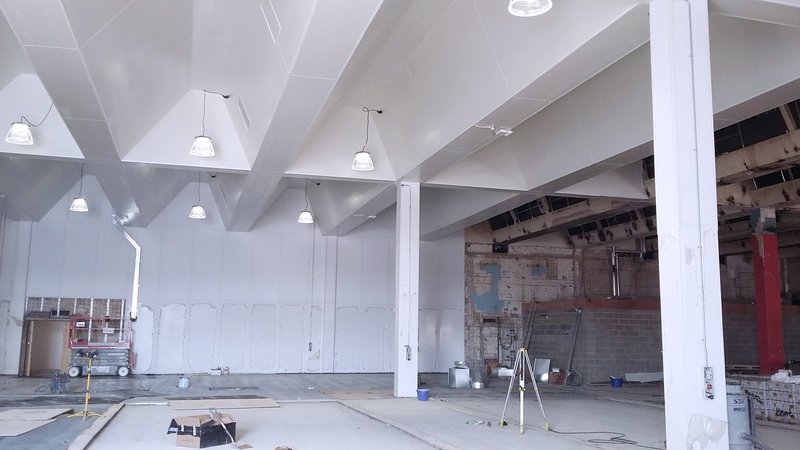 Cladding sheets can be expertly thermoformed to create perfect bespoke corners and transform the interior of an aging building into a world class, hygienic environment. As well as tradition white PVC cladding, Hygienik also installs a full range of pastel and bold colours with matching trims. Our wall protection products are ideally suited to high traffic areas in airports where scratch-free and impact-resistant panels are ideal. 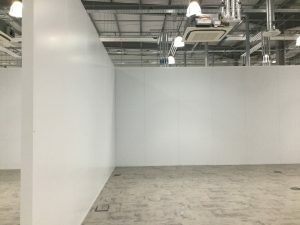 As well as installing cladding at major airports, Hygienik has worked with the leading principal contractors and big brand clients including Coca-Cola, Asda, NHS, Walkers, M&S, McDonald’s and Sainsbury’s. 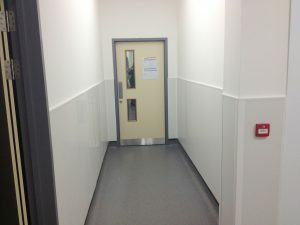 When fitted correctly, PVC wall cladding and wall protection is an attractive, hard-wearing, cost-effective, easy clean solution that will maintain long term hygiene standards for years. Hygienik has created expansive food preparation areas for Gate Gourmet at three UK airports. 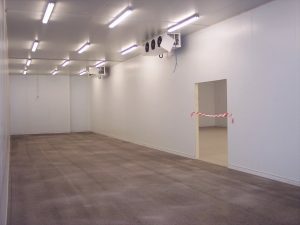 The installations included adding new partition walls and lining existing walls and ceilings with hygienic cladding to create food safe environments. For more details and photographs see the case study on our website. 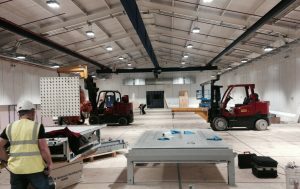 Hygienik installed over 2,200 square metres of wall cladding to create a huge manufacturing area for Cytec. 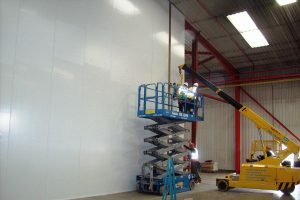 To optimise installation efficiency and transportation, 4.5m high PVC panels were specially manufactured in the UK. This minimised the number of horizontal joints needed. Panels were expertly fitted around doors, rood supports, pipes and cables as required. 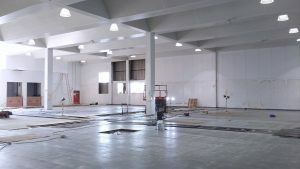 Hygienik’s extensive refurbishment created a huge manufacturing area for Coca-Cola. The scale and complexity of the project is similar to the criteria of airport projects. 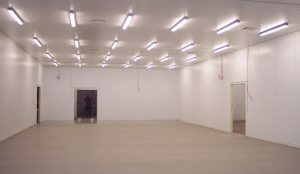 Few cladding teams are capable of cladding such a challenging interior. 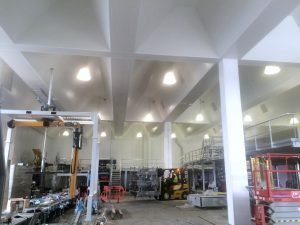 Roof voids, pillars and cross beams were all fully cladded to create a world class hygienic environment. 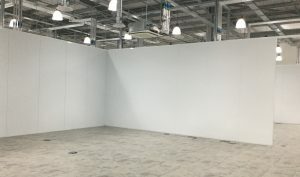 Hygienik installed a huge configuration of fire-rated wall partitions within a huge open plan BT office at Olympic Park, London. 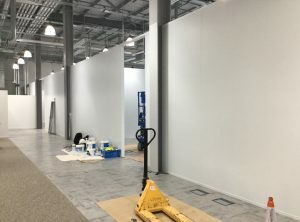 The 6-day installation was on a similar scale to airport buildings and showcases the versatility of our products and our installation expertise. 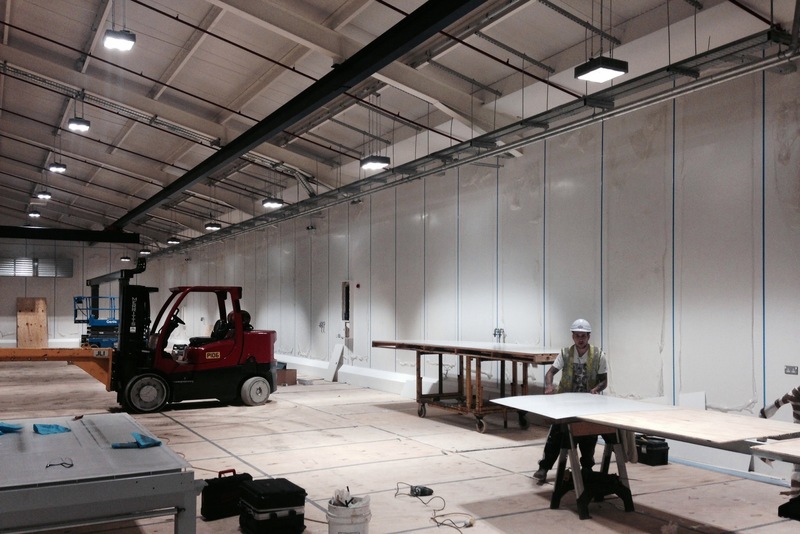 Hygienik offers a superior wall protection product that is ideal for high traffic areas in airports. 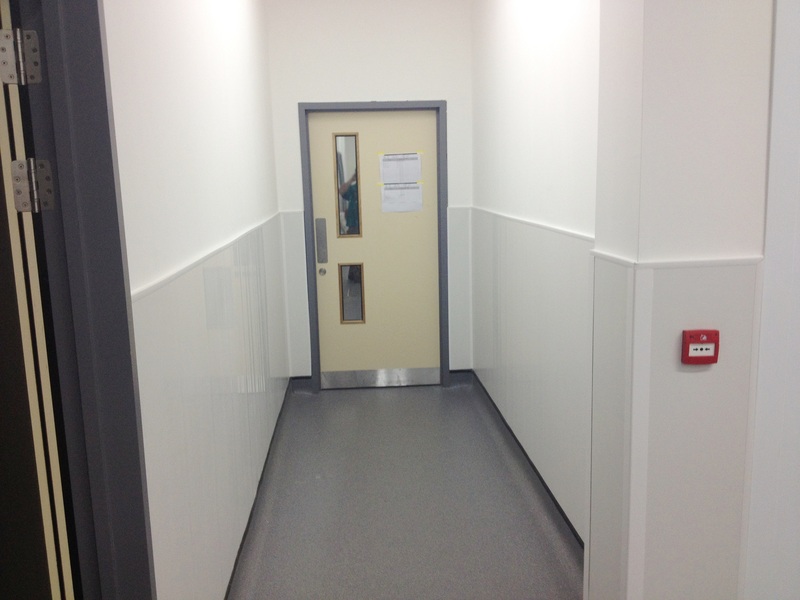 Our 2mm Am-Guard sheets provide durable, long-term wall protection in corridors, loading and storage bays and back of house areas. It has a textured scratch-resistant finish. Easy-clean Am-Guard is Class 0 fire-rated when fixed to a non-combustible surface and actively prevents the build-up of bacteria and germs. For more details see the Data Sheet on our website.